The primary residence exclusion of $250,000 (for single filers) and $500,000 (for married joint-filing filers) remains untouched – this means that if you are selling your home (a residence in which you’ve resided for two out of the last 5 years), up to $250,000 of capital gains (for single filers) and $500,000 (for married filers) will be deducted from your gain on the sale of the house. Example: You are a single woman who bought your home in 2009 for $200,000 (I know, I know – there are no homes for $200,000 to be bought, but let’s pretend we live in La La Land). You just sold your home for $350,000. What’s your liability? Since it is less than the $250,000, you don’t have to pay any capital gains tax on the sale. For most lower to middle class individuals, the income tax and capital gains tax rate have not increased. If you are in an unfortunate situation, where your home has either been foreclosed on or was sold through short-sale, there is at least one thing that should make you feel a bit better. Prior to 2007, the amount of loan forgiveness received by a taxpayer (i.e. the principal amount of mortgage that was forgiven, because of the foreclosure/short-sale) was considered income, and was taxable. Since 2007, under a temporary rule, up to $2,000,000 of loan forgiveness is not taxed. This rule has been extended through 2013. K-12 Educators’ Expense – if you are a teacher, you can deduct up to $250 for school-related expenses that were paid out of your own pocket. The Alternative Minimum Tax – most of us won’t have to file for it, so we don’t have to worry about figuring out this complex structure – suffice it to say, that the Congress finally adjusted the AMT exemption for inflation, and has made it permanent, so much fewer households will be affected by it in the current and future years. If you are not self-employed or a consultant and have already received your paycheck this year, this will not be news to you. Many of us saw reductions in our compensation and wondered why. The social security tax, which was reduced to 4.2% from 2010 – 2012, has now returned back to the original rate of 6.2%. If you are self-employed or a consultant, you will also be hit – the social security component of the self-employment has returned to regular 12.4% from 10.4% in the previous two years, so your tax liability has increased, as well. Let’s hope this is our prepayment, for prosperous retirement. For those of you with adjustable gross income (AGI) over $450,000 (married couples) or $425,000 (for heads of household) or $400,000 (for single filers), the income tax rate has increased to 39.6% from 35%. Additionally, the capital gains tax for those in this high-tax bracket has increased to 20%. If that’s not enough, you may also be subject to a NEW additional 3.8% Medicare tax surcharge, if your AGI exceeds $200,000 (for single filers) and $250,000 (for married joint-filing filers). This tax (oh so confusing) applies to investment income, and will be added to the amount that is the lesser of (i) your total investment income for the year; or (ii) the excess of the gross income over the above threshold. Example: You are a single woman, who bought your home in 2009 for $1,000,000. Your AGI this year is $225,000. You just sold your home for $1,275,000. Your capital gain is $275,000. You will pay tax on the lower amount, that is the taxable gain of $25,000 ($25,000 x 3.8%) = $950. As in previous years, you are allowed to deduct the personal exemption for yourself, your spouse, and your children. The personal exemption was worth about $3,800 in 2012. With the new Personal Exemption Phase-out (PEP), however, the value of each personal exemption is reduced from its full value by 2% for each $2,500 above $250,000 (single filers), $300,000 (married joint-filing couples), $275,000 (heads of households), and $150,000 (married filing separately). Example: You are a single woman with income of $300,000. Your personal exemption would be reduced by the following amount: (0.02 x 2500) x ($50,000/$2500) = $1000. 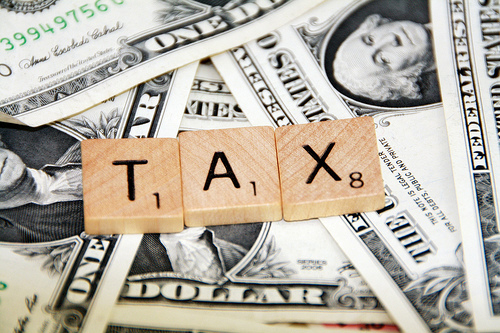 If you itemize your deductions, your tax liability may also be affected. Those with income over $250,000 (single filers), $300,000 (married joint-filing couples), $275,000 (heads of households), and $150,000 (married filing separately) will see the total amount of their itemized deductions decreased by 3% of the amount by which their income exceeds the above threshold, provided however, that the reduction will not exceed 80% of the itemized deductions. As a result, you can potentially lose up to 80% of your write-offs for mortgage interest, state and local income and property taxes, and charitable contributions if your gross income exceeds the applicable threshold. Example: You are a single woman with income of $300,000. You file your tax return with $25,000 in itemized deductions. Your income is $50,000 above the above threshold, which would mean that your allowed itemized deductions will be reduced by (50,000 x 3%) = $1500. I hope I was able to, at least, highlight some of the issues you should be on the look-out for in the upcoming tax season. Please note this list is by no means comprehensive and should not be relied on in making your tax decisions. You should always consult with your accountant if you have any questions in connection with your tax liability (and hopefully tax refunds, at least for some of us). For more information please contact Bella Fridman directly by email at bfridman(at)reznicklaw(dotted)com.